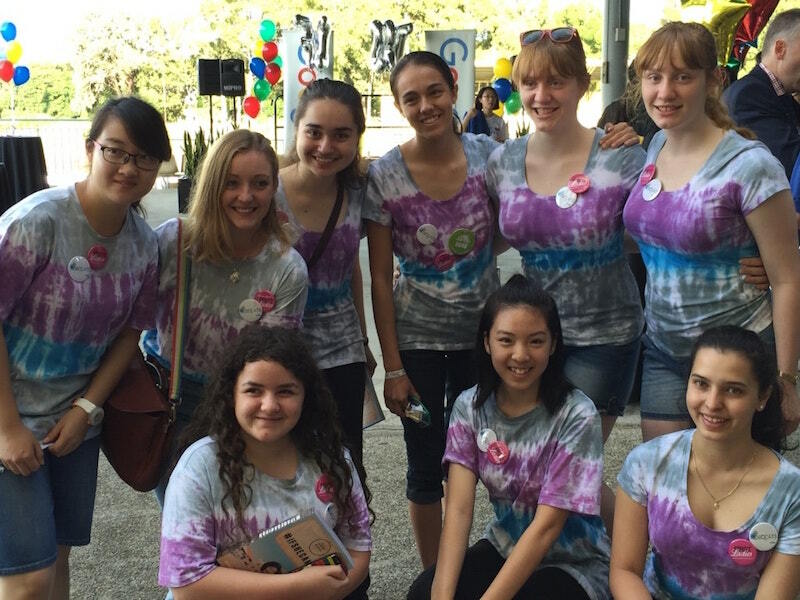 After being named a #TechDiversity Award winner in the Education Category at the 2016 #TechDiversity Awards, the Melbourne RoboCats all-girls robotics team has made some great leaps forward. First, in March 2017 the team was one of three winners at the South Pacific Regionals in Sydney; the RoboCats were then invited to compete against 600 other teams at the World Robotic Championships in Houston in April. Dr Therese Keane from Swinburne University shares her experience with the 2016 #TechDiversity Awards program and how it has helped further inspire the Melbourne RoboCats team. Melbourne RoboCats is a 17-member robotics team of 13-18 year old girls competing in the international FIRST Robotics Competition. This is the flagship program of FIRST (For Inspiration and Recognition of Science and Technology), an international organisation that seeks to inspire young people’s interest and participation in science, technology, engineering and maths (STEM). 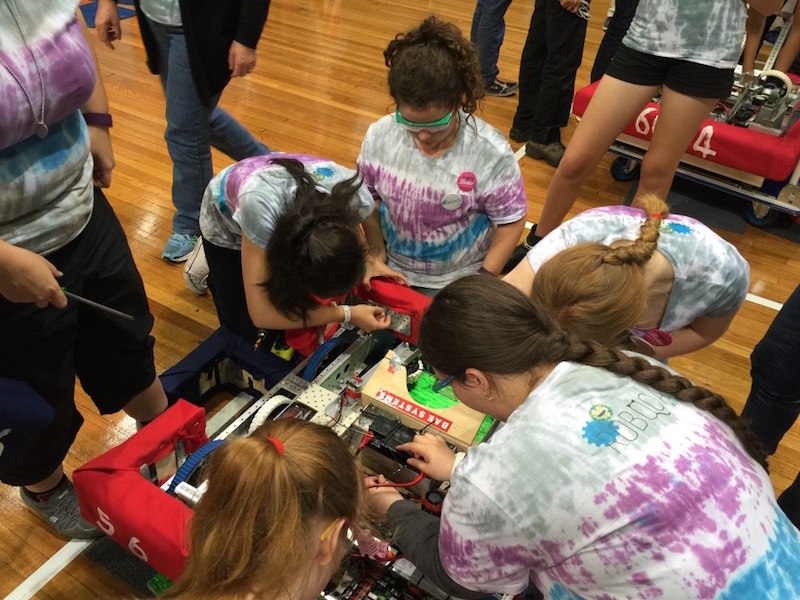 As an all-girls team sponsored by Swinburne University, the Melbourne RoboCats team is targeted at increasing secondary school girls’ participation in STEM. The program provides an opportunity for school girls without prior programming or robotics knowledge to work alongside industry and university mentors in constructing and programming a 50kg robot. Mentored by Swinburne University’s Deputy Chair of the Department of Education, Dr Therese Keane, and lecturer Milorad Cerovac, the team is self-funded to ensure that it is accessible to all girls, without any socio-economic barriers. The Melbourne RoboCats first tasted victory at Australia’s inaugural FIRST Robotics Competition in 2015, where they won the Judges Award. Therese, who co-founded the Melbourne RoboCats team in late 2014, has a longstanding association with robotics in education, and has long striven to empower girls and combat gender inequality in STEM fields. With guidance from the industry mentors, the girls were able to develop skills and build a functioning industrial robot to compete against other teams from all over the world in this large-scale FIRST Robotics Competition event, where the overarching theme of gracious professionalism is to compete at your best, but with total respect of others. To provide team seed funding to the team, Melbourne RoboCats submitted a business model to the FIRST organisation, leading to an initial $US4,000 grant, supplemented by sponsorship from Ford Australia and Swinburne University. Rockwell Automation covered the shipping costs for the team, and BAE Systems’ Melbourne office also provided financial support for additional materials. This meant for the entire duration the girls were working alongside some of Australia’s best engineers and technology experts, and they were female. It had a profound impact on girls who had never previously realised the options and opportunities. This year, the team has been sponsored by Swinburne’s innovation precinct, alongside Ford, BAE Systems, Salesforce, Rockwell Automation, Invetech and Boeing. Therese found the process of applying for the #TechDiversity Awards relatively straightforward. In March 2017 the Melbourne RoboCats team participated with 39 other teams in the South Pacific Regional Championships in Sydney. Despite having only 19 days of meet-ups amidst holiday and back-to-school season within the project period, it was a very positive experience for the team. “The girls designed, programmed and built a robot within six weeks, facilitated by the Swinburne Innovation Precinct. They learnt lots of different skills, made new friends and worked as a team alongside university and industry mentors in multidisciplinary roles,” Therese said. 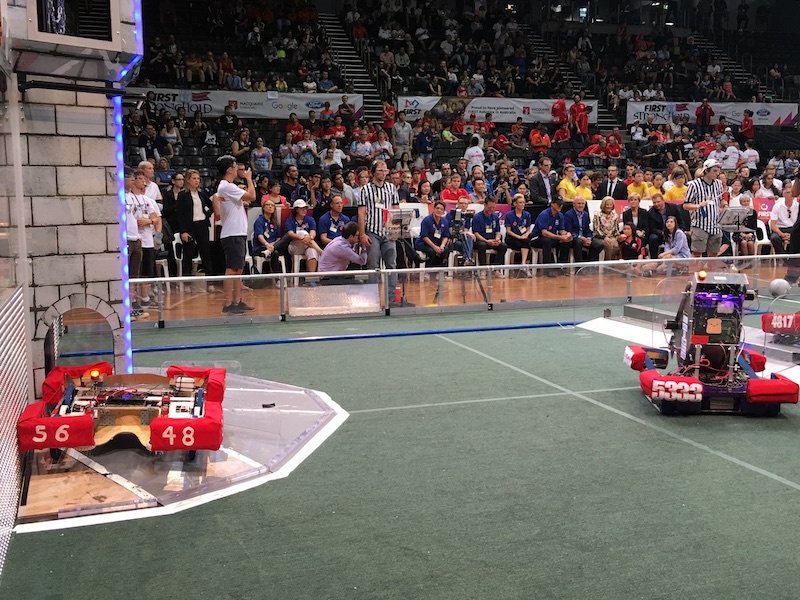 At the end of the South Pacific Regional Championships, the Melbourne RoboCats secured the top title in an alliance with Barkers College and Macquarie University. The RoboCats were then invited to the four-day World Championships in April 2017, held at the Houston Convention Center with thousands of people. As the RoboCats did not envisage they would be in the World Championships, the team needed funds to register, travel, purchase spare parts and freight the robot across to Houston. Fortunately, Swinburne’s Innovation Precinct, Ford and BAE Systems were able to assist with these expenses. 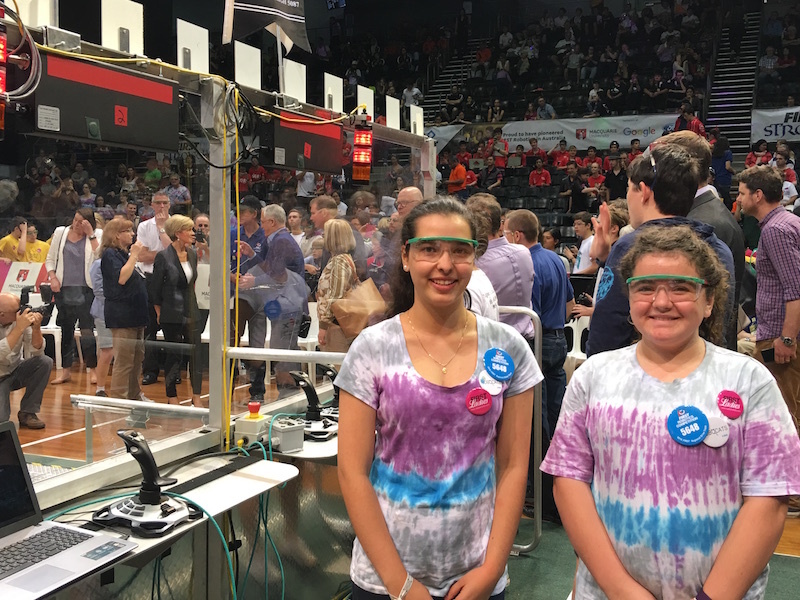 #TechDiversity congratulates the girls of Melbourne RoboCats team for making this prestigious competition and representing our local STEM industry.